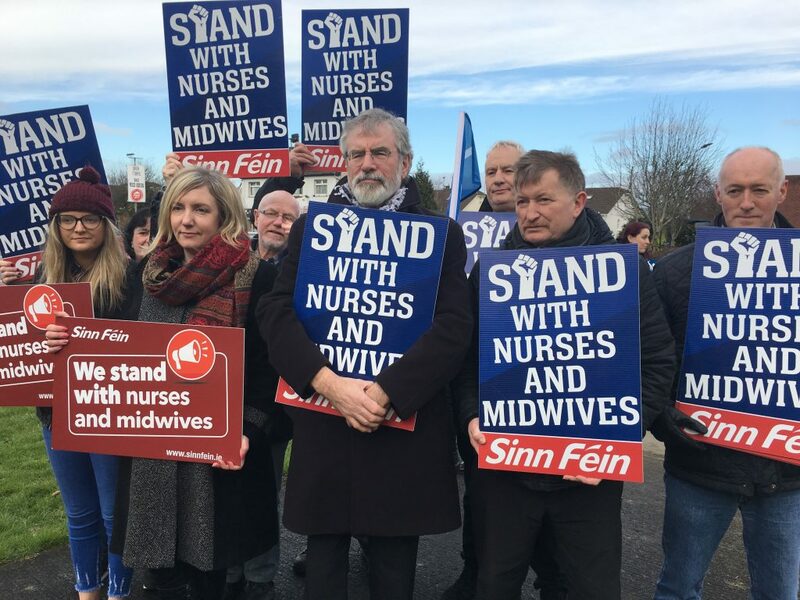 Louth TD Gerry Adams yesterday joined a nurses picket at the Rotunda in Parnell Square and later at Louth County Hospital in Dundalk. Speaking during statements in the Dáil on the Nurses Strike Teachta Adams said: “I want to express my support for the Nurses and Midwives of the INMO and the Psychiatric Nurses. The nurses and midwives on the picket line don’t want to be on strike. However, it is clear from the overwhelming public support they are receiving that people, including patients who are being affected by the strike, don’t blame the nurses. They understand that nurses have been badly treated by successive governments. They know our health services are in crisis. They accept that this industrial action is about providing a health service fit for purpose and capable of treating patients effectively and efficiently. They also accept that without significant changes in pay, that the core problems of recruitment and retention of staff, and of patient safety, will not change. In that situation the nursing shortage and the crisis in the health service, will only get worse. Fine Gael has had almost eight years to address the recruitment and retention crisis. This government is presiding over the scandal of overspend at the new Children’s hospital. The Taoiseach argues that it is value for money. At the same time he rejects the demands from the nurses. This government has no problem with landlords, bankers, vulture funds making big profits but denies nurses. Last year, Sinn Féin introduced a Private Members’ motion on the pay and recruitment of nurses and midwives. It was unanimously passed but its recommendations were ignored. The unions have proposed sensible and responsible solutions which if adopted by government and the HSE would end the industrial action and improve conditions for staff and patients within the health service. They have been ignored. It is up to Minister Donohue and Minister Harris to engage with the INMO and PDA and find resolutions based on workable proposals that address the key issues at the heart of this crisis: pay, and the recruitment and retention of nurses and midwives. As for Fianna Fáil – the confidence and supply party – their protestations at Fine Gael’s incompetence and arrogance ring hollow. 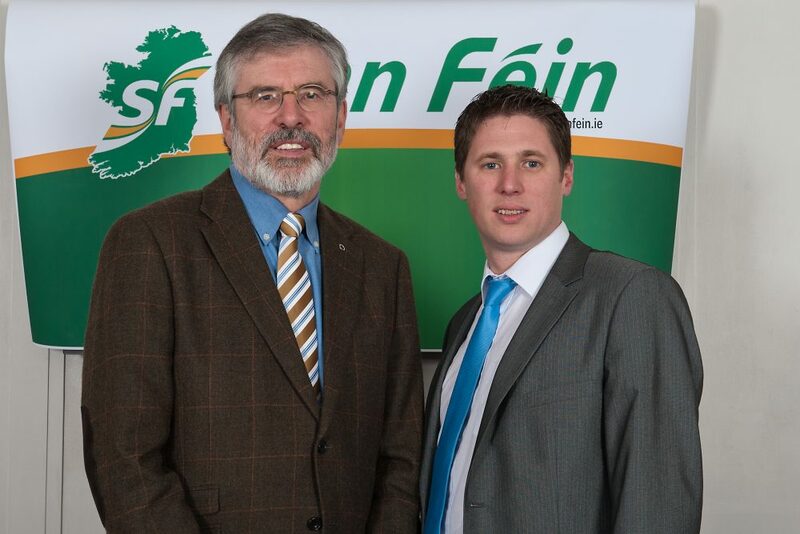 Fine Gael is only in government because Fianna Fáil supports them and their policies”. This entry was posted in News and tagged Nurses by Fiona Johnston. Bookmark the permalink.